Microsoft Surface Book Review - Is It Worth It? 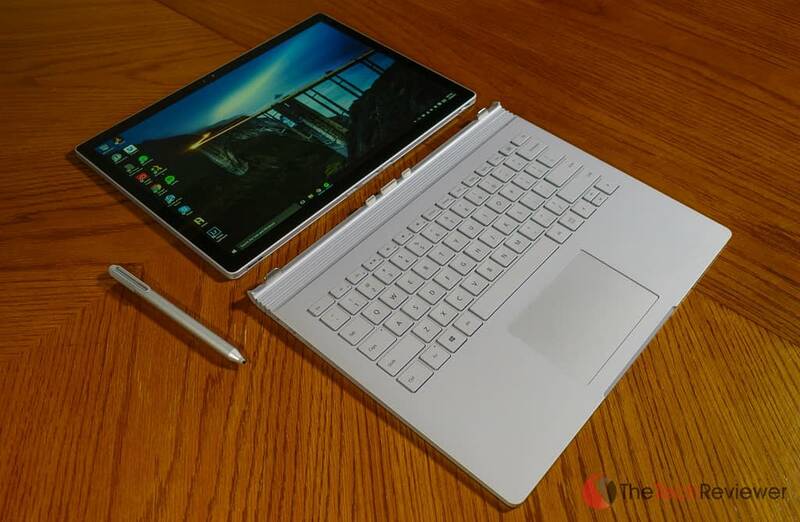 Microsoft's Surface Book is a laptop/tablet Windows 10 hybrid with powerful hardware. 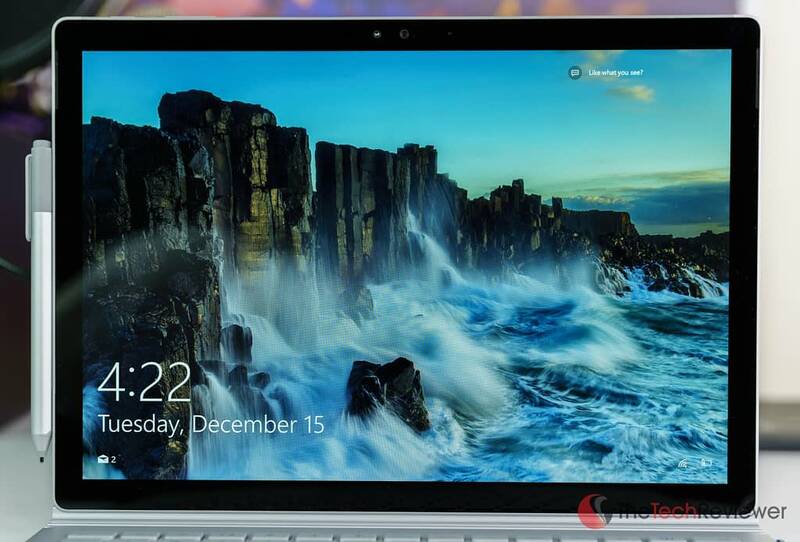 Microsoft impressed consumers around the world when they unveiled the Surface Book. The innovative device blends the portability and convenience of a tablet with the performance and efficiency of a traditional laptop. Unlike Microsoft’s previous generation Surface products, this model is a suitable replacement for your laptop since it runs a full version of Windows 10 and offers configurations with a dedicated graphics card, the latest generation of Core i7 processors and up to 16GB of RAM. 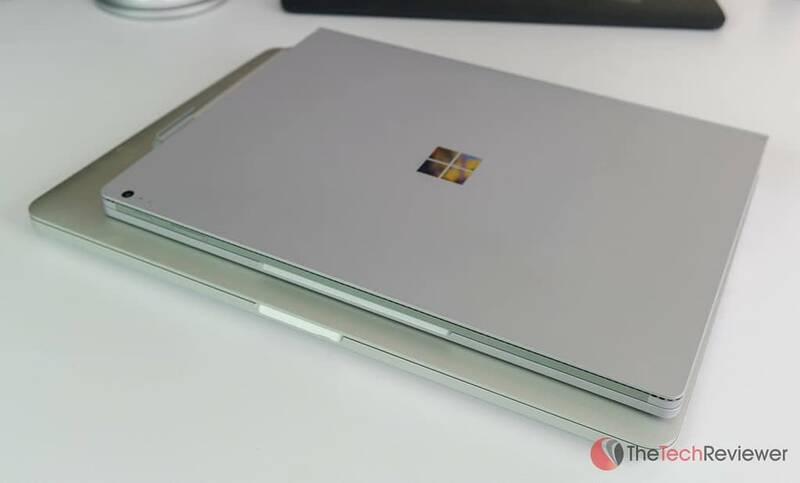 With the pricing ranging from $1499 to $3199, the Surface Book is far from cheap though its innovative design causes it to lack any comparable competitors in the market. 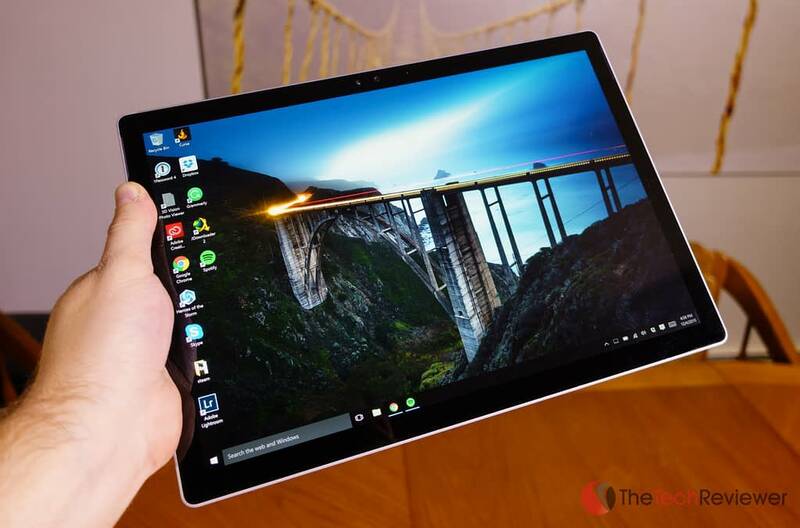 The powerful tablet/laptop blend is an attraction option for someone like myself who has been waiting for a suitable hybrid that doesn't skimp on performance. In this review, I’ll give an honest opinion of my experience replacing my 15” Retina Macbook Pro (2012) with Microsoft’s new Surface Book for daily use over a period exceeding 30 days. My review unit was the $2,700 model that packs a dual-core i7 processor clocked at 2.6GHz, 16GB of RAM, a dedicated GPU, and a 512GB SSD. 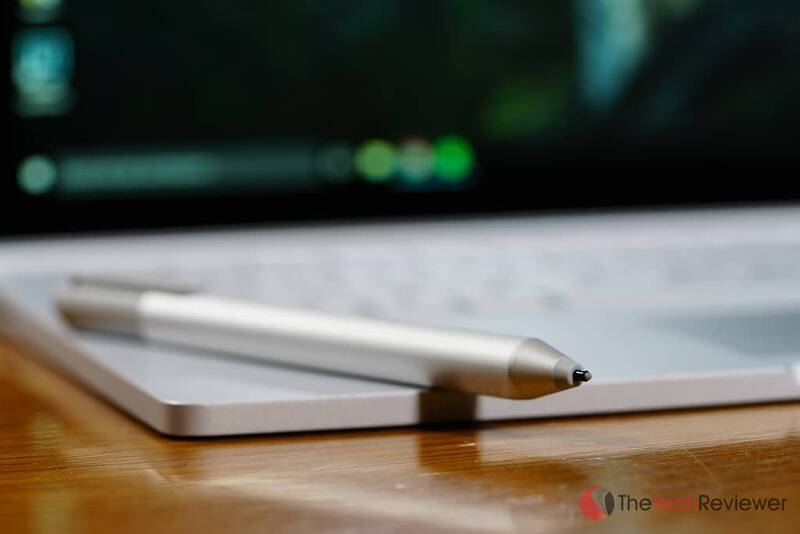 Unlike my 15″ Retina Macbook model, the Surface Book's design is broken down into three main parts: the tablet, the keyboard base and the Surface Pen. The tablet portion is the most integral part in the design housing all the internals of a laptop like the RAM, processor, SSD, high-resolution display and integrated battery. The 13.5″ screen utilizes a glossy finish with a 3:2 aspect ratio boasting a non-traditional 3000px by 2000px resolution. There is a small black bezel surrounding the display along with an integrated microphone and a 5MP front-facing camera. Moving to the back of the chassis, you'll see an inset Windows logo in place of where the Apple logo appears on a Macbook. You'll find another 8MP camera at the top right much like on an iPad. 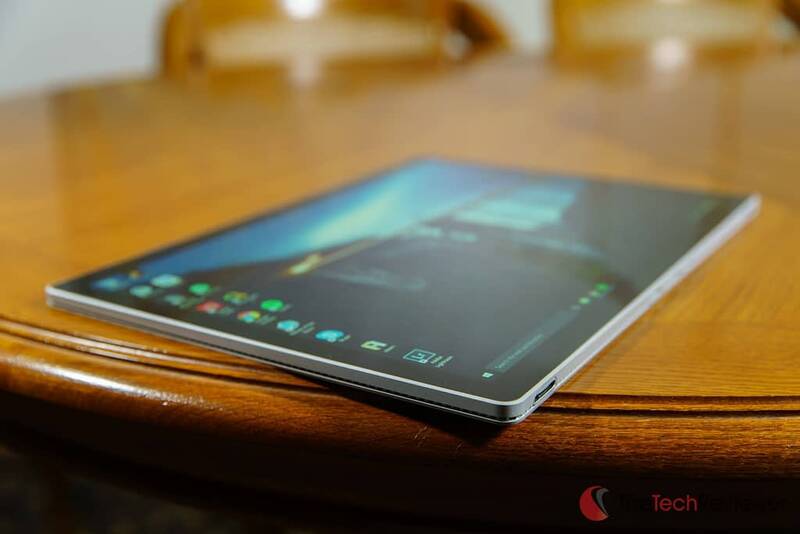 There is a thin line of vents along all four sides of the tablet that help to control heat dissipation. There are no USBs integrated within the tablet (they are on the keyboard base) though there is a sleep/wake button, volume rockers, and a charging port. The base unit features a full QWERTY keyboard with variable backlit keys and a glass touchpad. 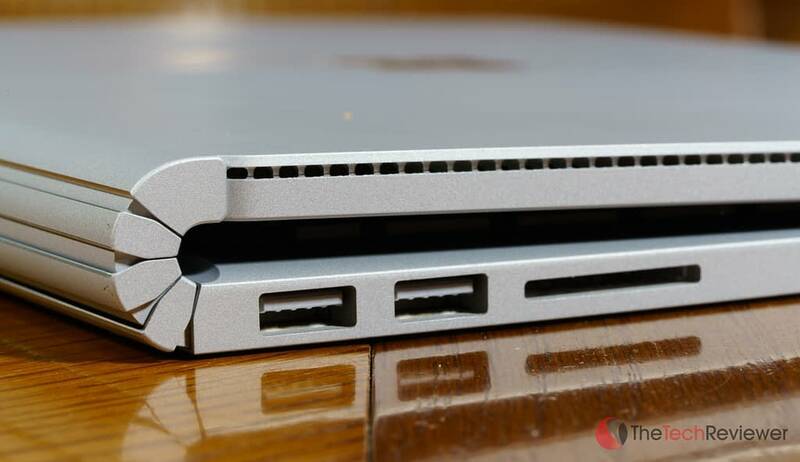 Unlike a typical laptop hinge, the Surface Book totes what they call a “dynamic fulcrum hinge” that utilizes multiple elements that work together to provide a seamless transition from open to closed. While elegant, some may dislike the noticeable gap that is present when the laptop remains in the closed position. 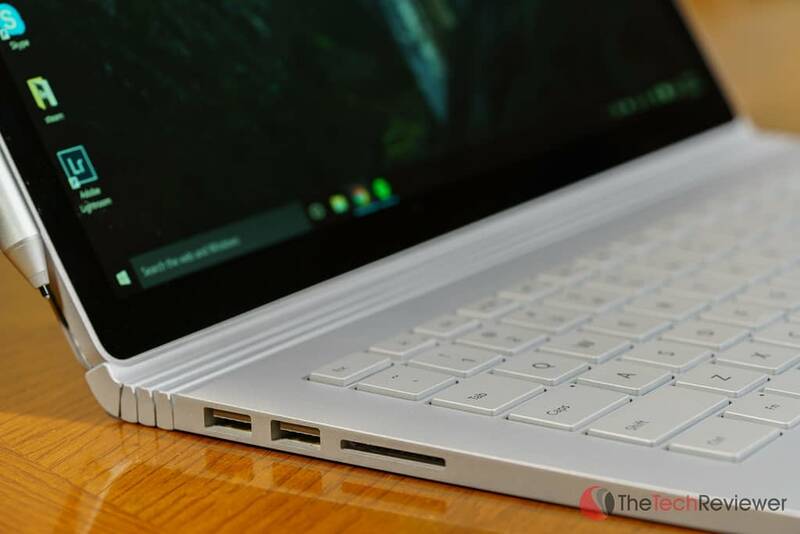 Inside this base is another integrated battery that provides the majority of the power to the Surface Book for extended use as well as a dedicated graphics card if you purchased one of the higher-end models. This card can not be found in competing laptops though it is Nvidia Geforce branded and based off the GTX 940M. The hardware team involved with the Xbox game system was involved in development with a focus on excellent performance in a small portable form-factor. This means you can't expect desktop-like performance from a mobile GPU such as this especially with a limitation of only 1GB of GDDR5 memory. There are two USB 3.0 ports within the base along with a full-size SD card reader, charging port, and Mini DisplayPort (not Thunderbolt compatible) for connecting an external monitor. If this port availability is not up to par with your needs, Microsoft sells an aftermarket Surface Dock. While the price is rather steep at $199, it adds four USB 3.0 ports, two Mini DisplayPorts, a Gigabit Ethernet port and an audio out port. 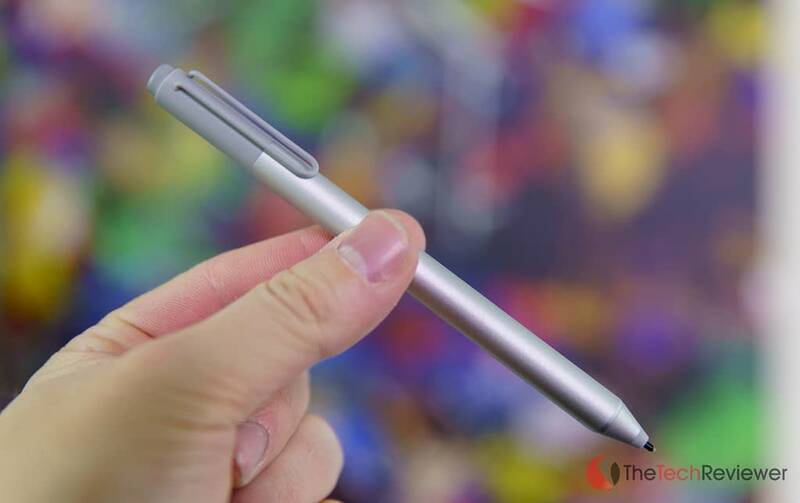 Last but not least is the Surface Pen, a unique stylus that coupled with the tablet makes for an excellent experience much like a traditional paper notebook. The pen resembles a standard ballpoint pen with a premium feel thanks to the magnesium body. On one end is a replaceable tip that is pressure sensitive to interact properly with the display. 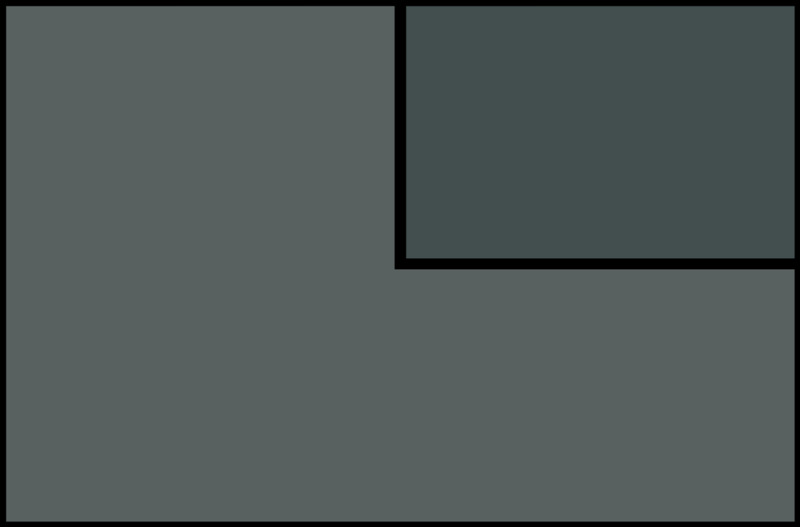 The other end harnesses the ‘eraser' which is both a button for queuing Cortana, taking a screenshot or opening OneNote as well as acting as an eraser when drawing or writing in certain apps. There is a pocket clip at the top of the pen, but it seems rather flimsy and wouldn't be something I'd want to rely on too much. Instead, Microsoft kept one side of the pen flat and magnetized so it will attach to the side of the Surface Book when not in use. Along this flat surface, there is one more hidden button for use when the keyboard is detached. Unlike some of the cheaper Surface models in the past, the Surface Book runs a full version of Windows 10. The advantage to this is that you can install full desktop-level software on the device without an issue. 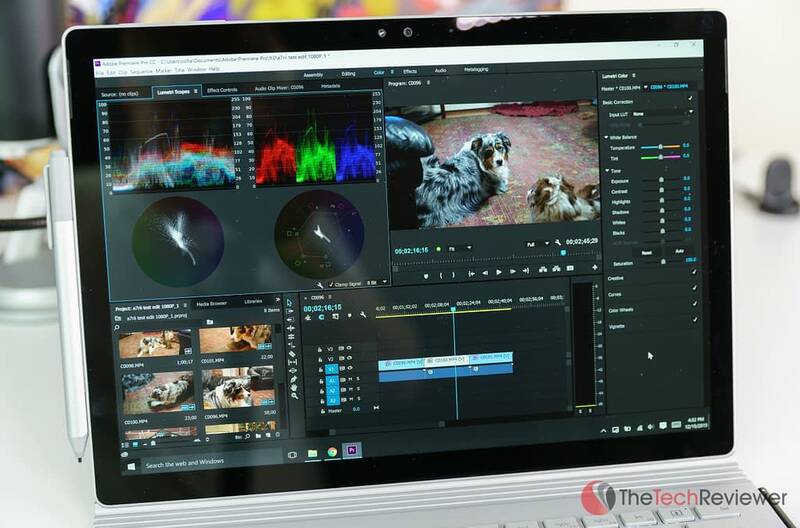 For me, it is a huge selling point as I am regularly working with the Adobe Creative Suite, and the Surface Book has the power to handle most of the core programs that I use daily. 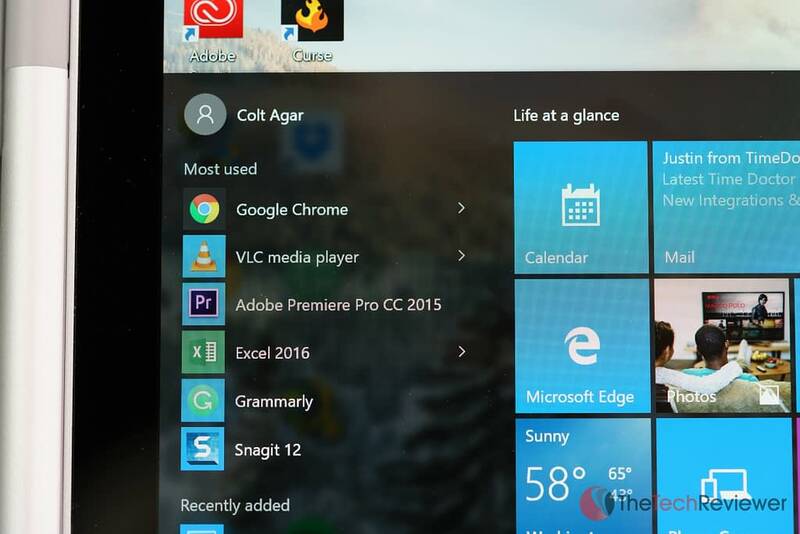 If you are not familiar with Windows 10, then I'm happy to say you are in for a treat. Unlike the failure that was Windows 8, this new iteration brings back the simplicity and usability that many loved from Windows 7 with some new flair that makes it both elegant and functional. I've yet to run into any driver issues when utilizing desktop-level applications or when gaming. Windows Update has been great at keeping the Surface Book current with the latest drivers and firmware updates that have been pushed periodically fix the various bugs with the device that remain present due to its short lifespan thus far. Switching to the Surface Book from my 15″ Retina Macbook Pro was a bit of a change, but mainly due to the size and form-factor. The 13.5″ display and keyboard are a bit smaller, but they still feel comfortable to use, and both perform exceptionally well. The display is incredibly crisp (higher PPI than my Retina) and with excellent color representation due to the IPS panel. The multitouch display renders finger contact fast and fluid as you'd expect with a premium tablet. Windows 10 is very touch-friendly so using the Surface Book in both a docked and undocked form-factor is a pleasant experience. The 3:2 aspect ratio does take a bit of getting used to, but you can see more of a webpage without scrolling and most of the software that I have run on the machine has adapted the UI with ease. Windows 10 has excellent resizing options so this has made for a pleasant experience overall. If I were to comment on a negative aspect about the display, it is that the screen does have a bit more “play” or wobble than I'd like when used on my lap especially if you are trying to use the Surface Pen while the hinge is being used. Not a major flaw, but a notable difference compared to my Retina Macbook and something I hope they will fix in future generations. I am a fan of the design of the Surface Pen and have been pleased with its performance thus far. While it does have a minor lag behind your real-world gestures (much like Samsung's Note 5 and S-Pen), it is still a dream to work with compared to most competing tablet/stylus combinations and is as close to a real pen and paper as I've experience thus far. The high build quality ensures both long-term reliability as well as comfort in the hand as the pen feels the right weight to glide through your strokes without any awkwardness. Storing the pen on the left side of the tablet is a clever and more appealing way than previous generations though I do wish it was able to be swapped to the right side as well though this side is not magnetized. The keyboard did take a bit of getting used to from Apple's signature Macbook keyboard though it only took a few days for it to start feeling natural. The key switches need slightly more force to execute a keystroke than my Macbook though easy to adapt to. The feel is a bit “mushier” than the super tactile feel of Apple's switches, but the experience remains pleasant. 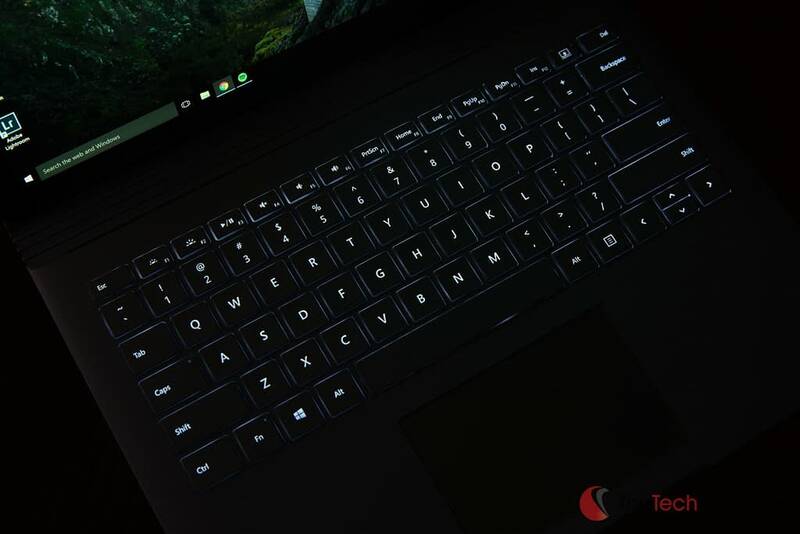 Each key has its backlight that is bright and adjustable in intensity. You can leave it disabled during the day and pump up the brightness at night or if you are under poor lighting. Here comes my first real complaint about the Surface Book and that is the trackpad. 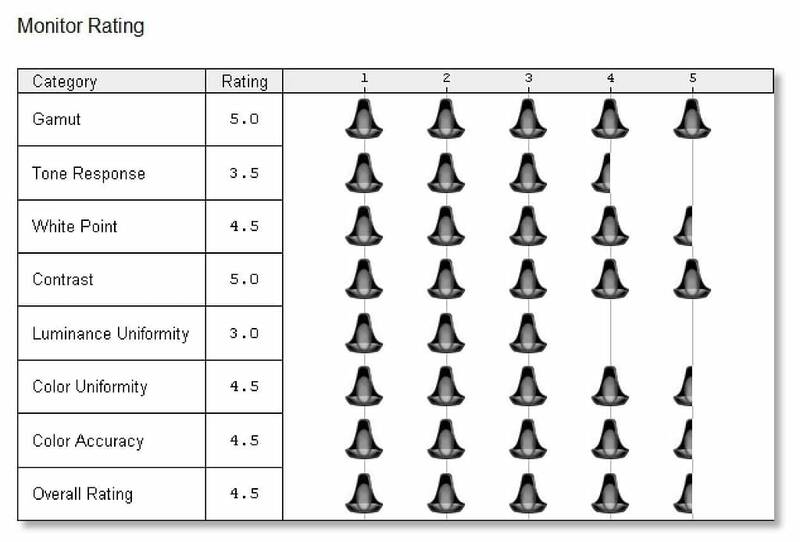 In regards to precision and overall reliability, I am not impressed thus far. It can shift from smooth and consistent to erratic and wonky without any rhyme or reason. When this happens, it makes it easy to click things you don't intend to or right click when you mean to left click and sometimes the mouse will not respond at all. Fortunately, it is not the physical design or build quality that seems to be causing these issues. This leads me to believe that Microsoft can salvage this via a future firmware update but for now, the trackpad leaves much to be desired in comparison to its Apple competition. My second major complaint with the Surface Book would be the battery life as I've found that it falls dramatically shorter than what they boast in the advertisements at least with the GPU version. According to nearly all the Microsoft marketing for the product. 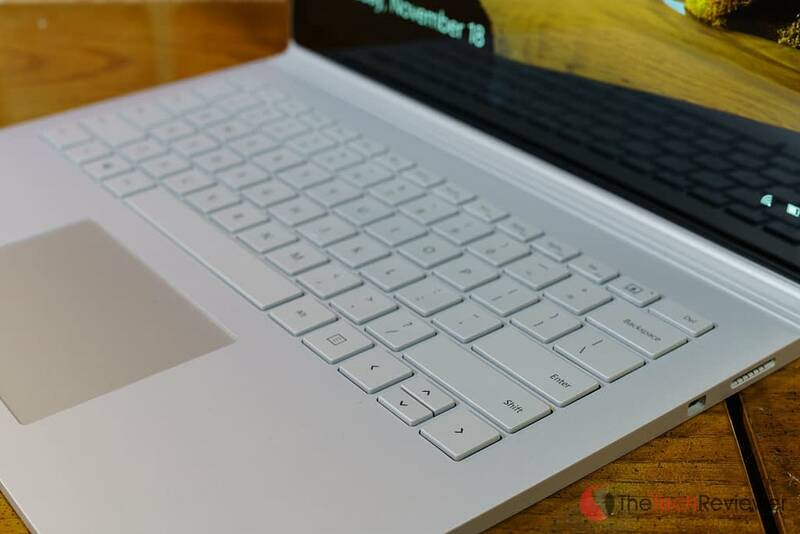 The Surface Book is touted to offer more than 11 hours of battery life with the keyboard base connected. After using the Surface Book for the past few weeks, I can say this number seems plausible to reach when your computer is idle (no open applications) though falls short in real-world use. An example of how dramatic this drop can is illustrated below. 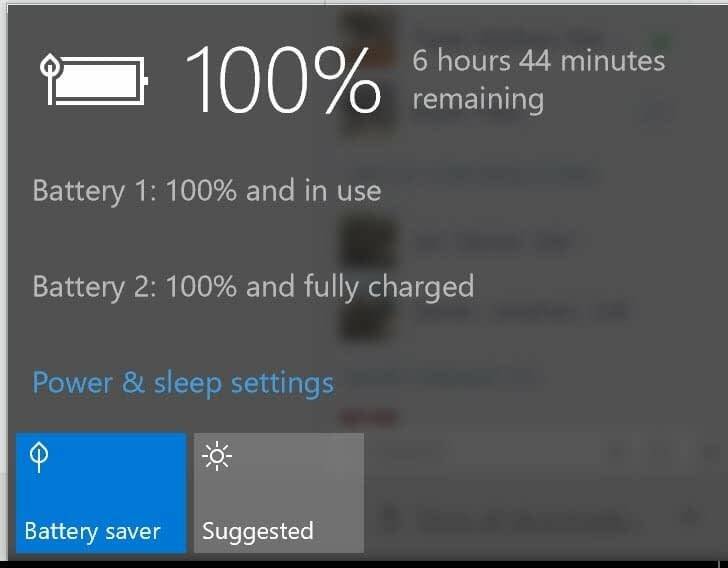 This is an effective drop in estimated battery life of 42.5% as soon as an application like Google Chrome is running. While nearly seven hours is still a respectable number in the end, the advertising is a bit misleading, and battery life seems comparable or maybe even worse than my Retina Macbook in an average real-world situation. 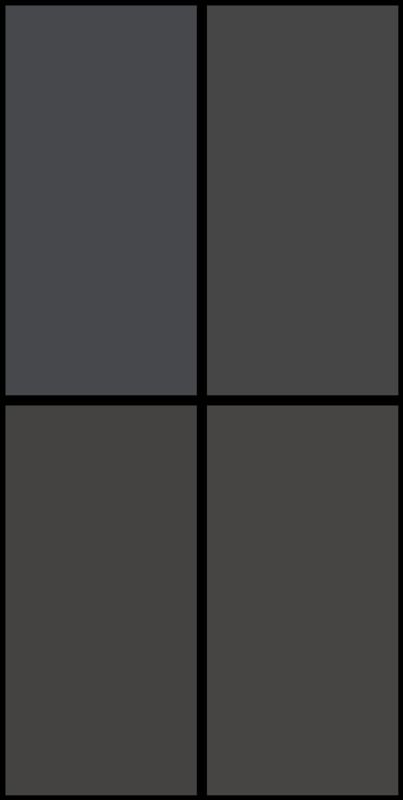 The screen has five brightness modes that increase the intensity when toggled. 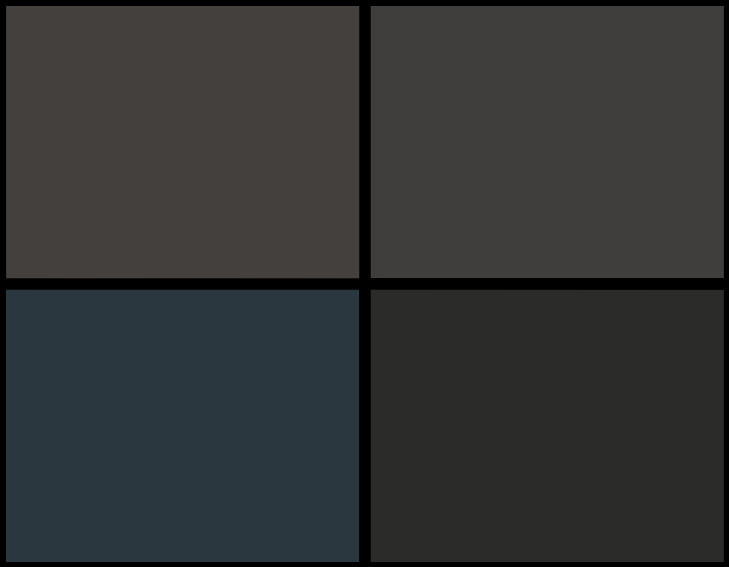 The middle is the recommended option for battery life while remaining viewable yet I still think it is too dim in most cases unless you are in a low-light environment. 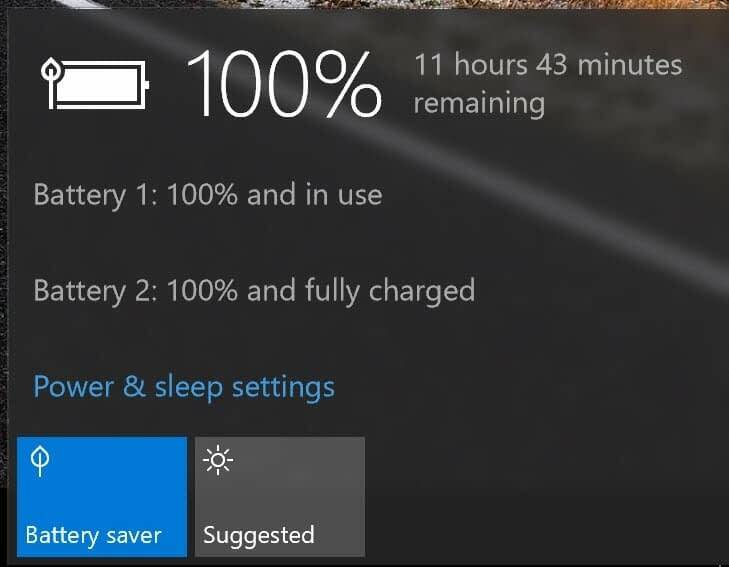 I prefer the “brighter” option the vast majority of the time while working on the Surface Book though this does result in a loss in battery life. On top of the five brightness settings, there is a ‘battery saver mode' that can be toggled. Enabling this will darken the screen further and optimize the machine for increased battery life. However, it is worth noting that this lowers the overall performance of the machine and is not recommended for use with intensive software like multimedia editing or gaming. The included charger cable is well-made and even has an integrated USB 2.0 port for supplying power to a device (such as a phone or tablet), but it is far too short for practical use. Maybe I was spoiled by the included extension cable with Apple's laptops, but you must be obnoxiously close to an outlet when sitting at a desk or table. 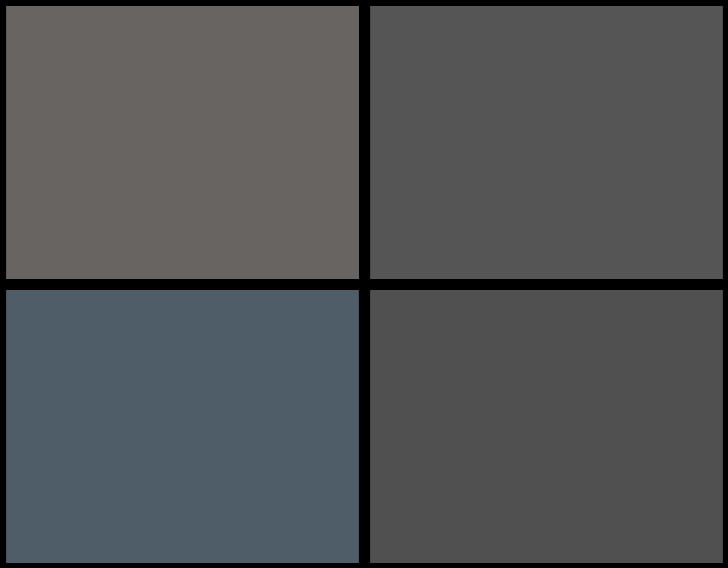 Another issue that I've found with the battery life is how much it drains while in the default “sleep” mode when the lid is close. There is a large Reddit thread about this issue, so I know that I am not the only one experiencing this issue. To combat this, I went into the power settings and changed the default action for the lid being closed to go from “sleep” to “hibernate” which has vastly improved this dilemma. Sure, it will take me a few extra seconds to load out of a hibernate state versus a sleeping state, but I'd rather take the trade-off if my battery life isn't drained rapidly while not in use. Since the Surface Book is so new and remains a first-generation product, you should expect software bugs despite its premium price point. 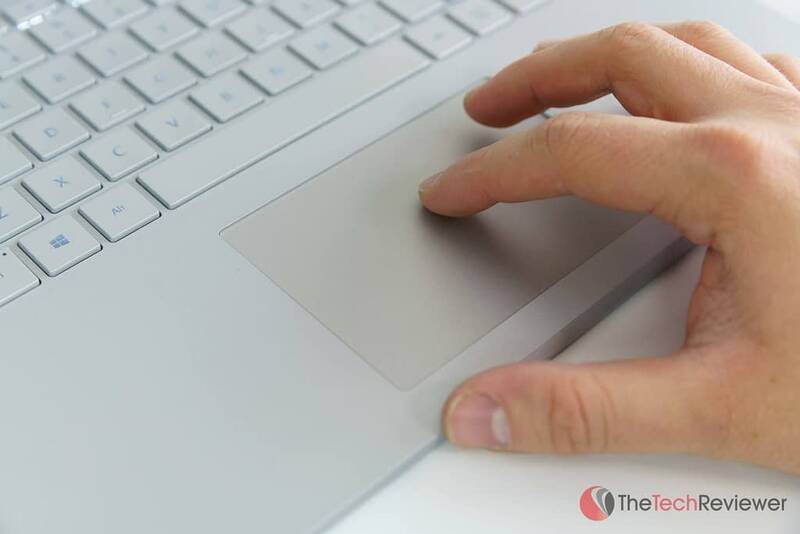 While I've yet to experience anything substantial in regards to bugs that would make me want to return my Surface Book, there are a few bugs that I have come across besides the standard touchpad issue. Once in awhile, I'll get a random Windows 10 blue screen or issues with the docking system thinking I am in tablet mode thus rendering touchscreen only without a cursor. Issues like this can be fixed easily with a reboot or re-dock though it is an annoyance nonetheless. While I can surely live with these bugs until Microsoft has a few months to sort them out, I will say if you are looking for a 100% refined Windows 10 experience or don't have the patience to deal with first-generation bugs then the Surface Book is not the optimal choice for you. There are many great competitors including Dell's XPS 13 model that is a few generations deep and should provide a more stable platform for professional use. The size advantage is a big appeal for me as comparing the Surface Book to my 15″ Retina Macbook, Microsoft's offering is notably smaller and lighter. 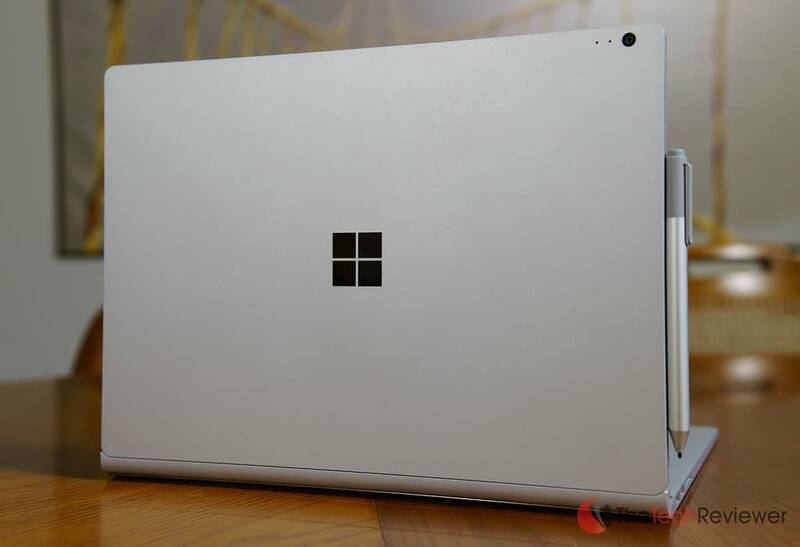 With an inch and a half smaller screen size, the Surface Book is easier to fit in a backpack, and it is just over a pound lighter than the 15″ Retina model. When I'm traveling out of the office whether it be across town or across the US (like I'll be in a few weeks for CES), the smaller form-factor is both appreciated and convenient. Something that is awkward to get used to is the weight distribution of the Surface Book. Unlike most laptops, the bulk of the weight is in the screen or tablet portion of this model whereas the keyboard base is notably lighter. On a desk or table, this isn't that noticeable, but it becomes evident very quickly when held by the base or when used on your lap. Not a huge issue, but something that does take some getting used to as it could fall off your lap should you not be prepared. Coming from a Mac, I never really did much gaming on the go. With the lack of support for many games to run on Apple's OS and the potential burden of a bulky Windows install taking up valuable room within my 256GB internal SSD, I chose not to game on the go. Now that I am back on the Windows platform for good, this opportunity opens up new doors for this potential. My current PC game addiction is with Blizzard's Heroes of the Storm, and I've had great success playing it on the Surface Book. For ideal performance, I run low to medium graphics settings that get me an average FPS of 77.8 while running at 1080P. If I bump the settings up to high, it is still playable although the FPS will drop to the 20-40 range. Since Heroes is not a demanding game graphically, I decided to up the bar and try to run Ubisoft's latest flagship title Tom Clancy's Rainbox Six Siege. Upon launching the app, I was met with a notification saying that the machine did not meet the minimum specifications as the 1GB video RAM fell short of the 1.5GB requirement. I was able to attempt to play the title, but I clocked in a measly 11FPS on low settings which are not playable. 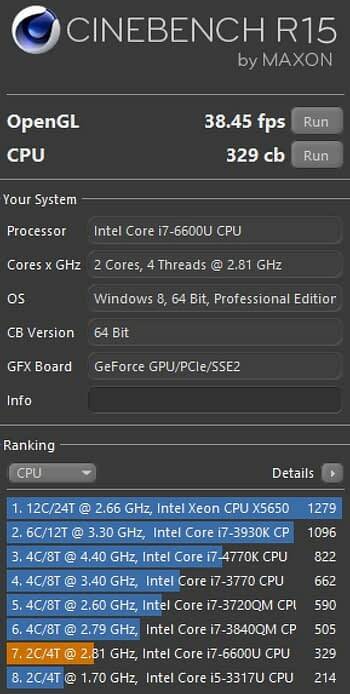 With the latest PC games becoming more demanding in regards to hardware, I can see this being an issue for some although games like World of Warcraft, CounterStrike, Heroes of the Storm, HearthStone, Starcraft 2, or League of Legends should be able to run smoothly even if it means lowering the graphic settings. While I have a desktop PC to use for the vast majority of my editing and work-related needs, I wanted to be able to use the Surface Pro as a backup should my desktop malfunction or while I'm traveling. The specs are solid enough to handle most multimedia editing tasks especially in the audio and photo variety, but it will struggle in some situations. Keep in mind, the processor is only a dual-core (just like Apple's 13″ Retina Macbook) so the lack of the two or more additional cores (my desktop workstation has 6) will be a bottleneck for heavy resource-related tasks. The 1GB of graphics memory is less than ideal (most cards now harness 2 or more GBs) for video editing though it does work hard to keep up. For basic photo editing with Lightroom or Photoshop, the Surface Book handles it well. The display is perfect for viewing the high-resolution photos, and the touchscreen capabilities shine in this type of environment. Where you may run into trouble is when working with large Lightroom catalogs or Photoshop files with a large number of layers. When working with Premiere Pro CC 2015, I was unable to find any way to edit 4K footage fluidly which is expected due to the higher data rates. Even viewing 4K content in a timeline with no color correction or effects applied is a choppy and unpleasant experience. Ingesting 1080P footage taken from my a7RII, I can view/edit the HD content at full resolution without any hassles. You will get some dropped frames after adjusting color or adding effects, but this can be solved by rendering the clips with effects or turning the playback resolution down from full to 1/2 or 1/4. Microsoft's initial attempt in designing a laptop isn't perfect yet it does set a high standard for future first-generation products. While the Surface Book faces its fair share of early bugs, the company has taken an ingenious concept and brought it to life with impressive execution. 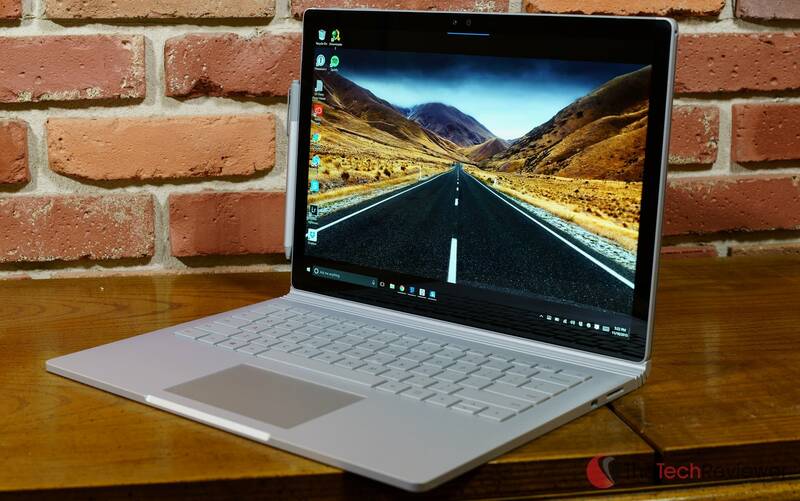 While the Surface Book is a pricey option, it is hard to resist its innovative three-piece design, powerful hardware options, and 64-bit Windows 10 support. There are several competitors in the market like Dell, Apple, or ASUS that offer comparable or more powerful models for significantly cheaper. The Surface Book remains a top contender in the sub-14″ laptop market, that is if you can afford the premium price.